Come spend the day in Lexington, there is so much to offer. This annual race takes place on the anniversary of the first day of the American Revolution. Our 5 mile race is held Monday Patriots Day. The Lexington Lions ClubPatriots Day Road Race is one of the oldest Road Races in the United States. 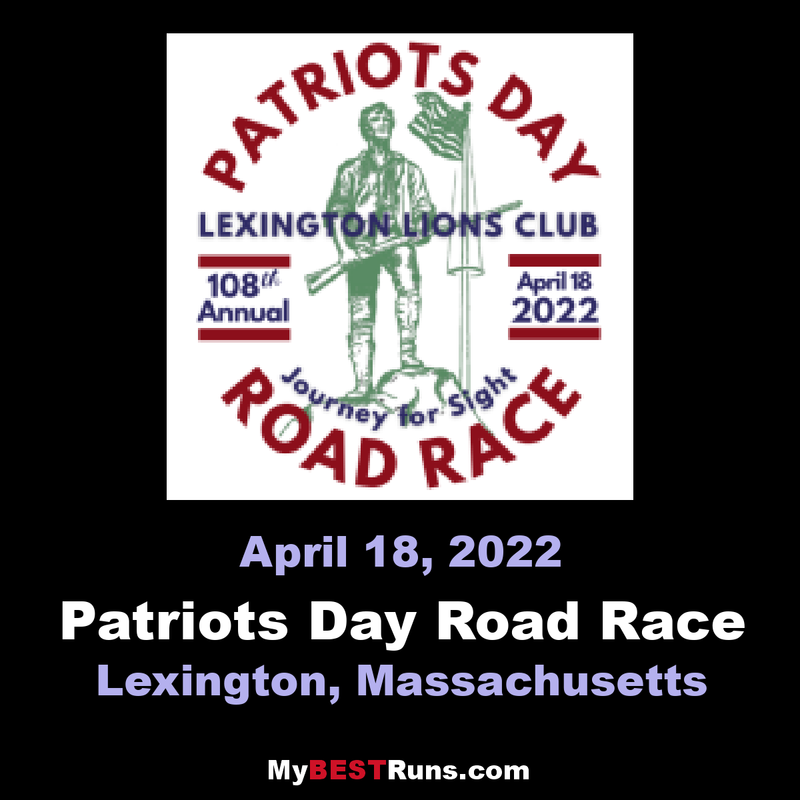 It was first run in 1914 when it was originated and sponsored be the Lexington Athletic Association (LAA).The Patriots Day Road Race was originally refered to as the "Paul Revere Marathon" when it first began in 1914. In 1914, Ralph "Curlie" Currier was among the 10 runners competing in the first running of the race. He finished 1stplace. He is shown in the photograph below. The original trophy won by Currier was donated back the the Lexington Lions Club by his family in 2006. The trophy will beon display on Patriots Day at the Road Race Registration area and during the awards Ceremony. In honor of Ralph Curlie Currier his family has donated a trophy in his name which is inscribed with the name of every 1st place finisher of the Patriots Day Road Race from 1914 to present.